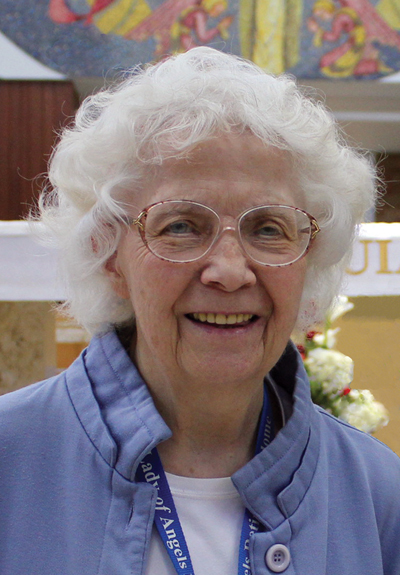 Sister Judith Kurry peacefully entered eternal life on May 24, 2018. 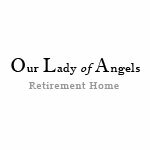 Her wake and funeral were held at Our Lady of Angels Retirement Home on May 31, 2018. She is buried in the community plot at Resurrection Cemetery. 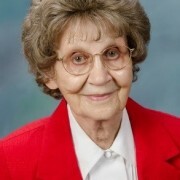 Sister Judith was born on November 25, 1918 to John and Mary (Sugar) Kurry. 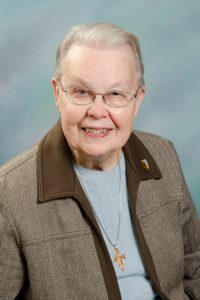 She entered the Joliet Franciscan novitiate in August 12, 1936, made first profession in 1938 and professed her perpetual vows in 1941. 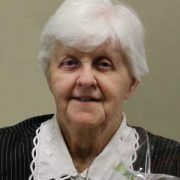 She was an educator all of her life, ministering in schools in both Illinois and Ohio. You can read more about Sister Judith’s life by clicking on: Sr. Judith. 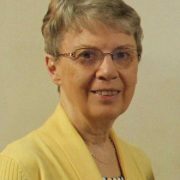 On April 28, 2018, the Sisters of St. Francis of Mary Immaculate celebrated the perpetual vows of Sister Deborah Gaughan. She becomes the 1,256 perpetual professed member of the Congregation. 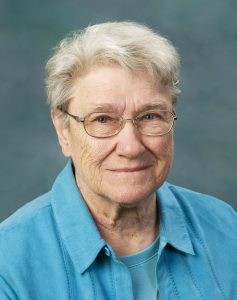 Sister Deborah willingly professed her vows of living in poverty, in chastity and in obedience according to the Rule and Life of the Third Order Regular of St. Francis and the Constitutions of the Congregation of Sisters of St. Francis of Mary Immaculate. She then accepted a ring, as a sign of Jesus’ love and faithfulness and as a reminder of her commitment to Him and to His people. God’s plan for her had come to fruition. What was planted in her as a first grader has become a reality. 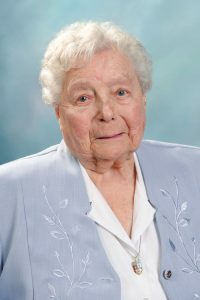 It is with deep sadness that we announce the death of our Sister Margaret Alice Martinek who died the morning of April 17, 2018. Her wake and funeral Mass took place on Friday, April 20, 2018 at Our Lady of Angels Retirement Home in Joliet. She is buried in the Congregation Plot at Resurrection Cemetery in Romeoville, Illinois. 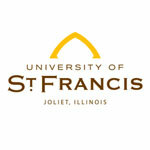 In 1209, Pope Innocent III accepted the first Rule and the Franciscan Order received its canonical status. It is our tradition that we, as followers of Francis, renew our commitments this day. You are invited to renew your vows to commemorate this Feast. All creatures on earth need other creatures to survive including ourselves. All creatures are needed for the harmony of the earth. The one creature not needed by other creatures is the human being. Water does not need us. Air does not need us. Plants and animals do not need us. At least in times past they did not need us. But they need us now because of what we have done to water, air, earth and its creatures. We humans have forgotten how to live in harmony with nature and consequently with each other! 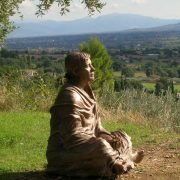 Because we have forgotten our rightful role as stewards, care-takers of creation, we have become the enemy, the annihilators of creation by our abuse, misuse and our appropriation for self what was meant for everyone. 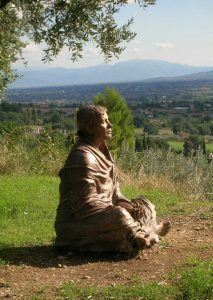 So we have created a needy earth, an earth that needs us to turn our minds and hearts to remembering that all creation is for our caring and thoughtful sharing. It is with deep sadness that we announce the death of our Sister Anne Wayrowski, OSF, who died on March 14, 2018. 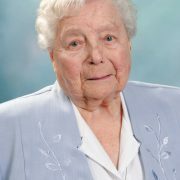 Sister Anne’s wake and funeral mass took place on March 20, 2018. Her burial was on March 21, 2018. She is buried in the Congregational Plot at Resurrection Cemetery. 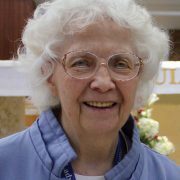 You can view the Livestream of Sr. Anne’s wake and funeral mass by going to our homepage and clicking on the colored shield – which will take you directly to our livestream channel. 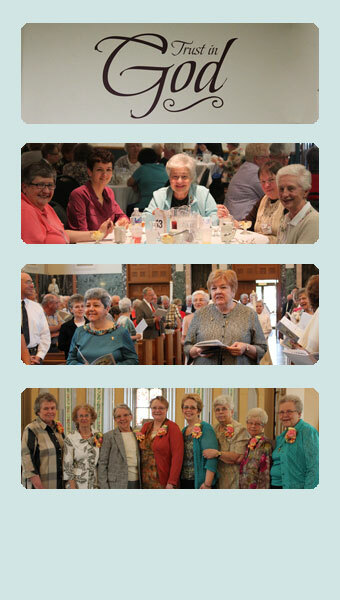 Have you wondered about religious life? 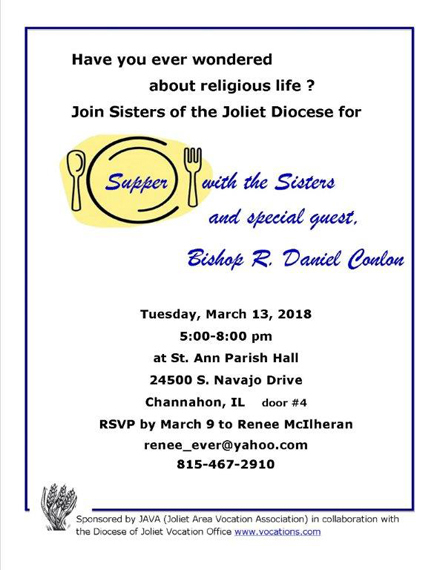 We invite you to join the Sisters of the Joliet Diocese (and our own, Sister Peggy Quinn) to Supper with the Sisters and special guest, Bishop R. Daniel Conlon. 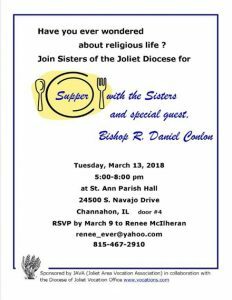 This event will take place on on Tuesday, March 13, 2018 from 5:00 – 8:00 pm at St. Ann Parish Hall located at 24500 S. Navajo Drive in Channahon (door 4). 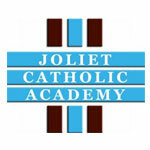 You will need to RSVP by March 9th to Renee McIlheran at renee_ever@yahoo.com or call (815) 467-2910. 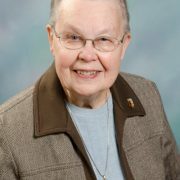 It is with deep sadness that we announce the passing of our Sister Dominic Krivich on the evening of February 8, 2018 at Our Lady of Angels Home (OLA) in Joliet. 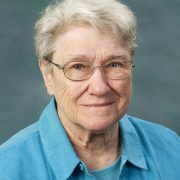 Sister Dominic’s wake, prayer service and funeral Mass took place on Thursday, February 15, 2018 at OLA located at 1201 Wyoming Avenue in Joliet, IL. 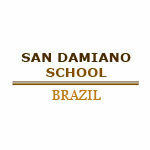 Visitation was from 2:00- 6:45 p.m. and a prayer service at 4:45 pm (which was live-streamed). 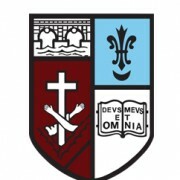 The Mass of Christian Burial began at 7:00 p.m. and was also live-streamed. Sister Dominic’s burial took place on Friday February, 16, 2018. She is buried in the Congregation Plot at Resurrection Cemetery in Romeoville, IL.